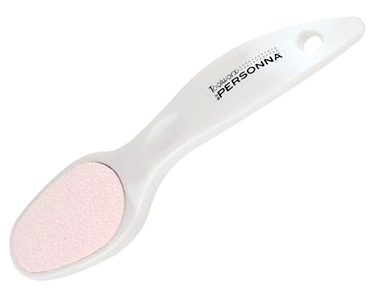 The 8” Ceramic Pedi File from Toolworx is a two-sided rasp that refines skin to a silky, smooth finish. The ceramic stone will not break down, wear away, or harbor bacteria. Safe to be disinfected. White pearlized handle with a pink center.